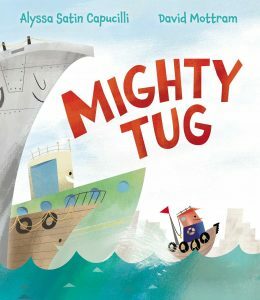 Five new picture books explore “big” characters; what the small ones lack in size, they make up for in heart! Regardless of one’s physical stature, it’s important to live large and move ­confidently within one’s milieu in order to succeed. 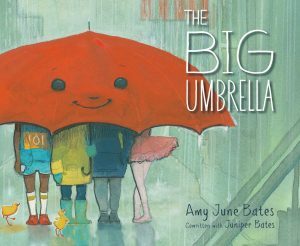 This crop of stories features an ever-growing, welcoming umbrella; a tiptoeing tiger; a sure-footed feline; a small, but mighty tug; and a brave little steam engine. Bernstein, Galia. 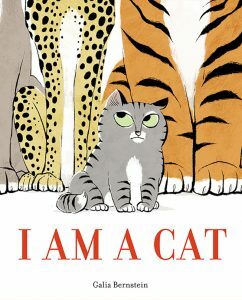 I Am a Cat. illus. by Galia Bernstein. 32p. Abrams. Feb. 2018. Tr $16.95. ISBN 9781419726439. Capucilli, Alyssa Satin. Mighty Tug. illus. by David Mottram. 40p. S. & S./Paula Wiseman Bks. Jan. 2018. Tr $17.99. ISBN 9781481476812. Leathers, Philippa. 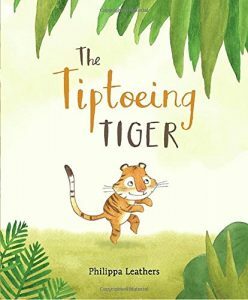 The Tiptoeing Tiger. illus. by Philippa Leathers. 32p. Candlewick. Feb. 2018. Tr $14. ISBN 9780763688431. Shaskan, Stephen. 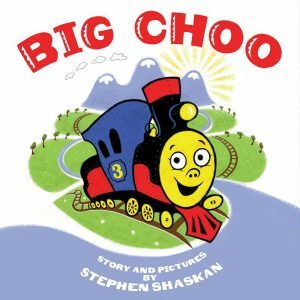 Big Choo. illus. by Stephen Shaskan. 40p. Scholastic. Feb. 2018. Tr $16.99. ISBN 9780545708579.